Tonight I was introduced to a Deluge exporter for Prometheus so I figured I’d whip up a quick dashboard for visualizing the metrics. Deluge Dashboard is a very simple way to display Deluge torrent metrics. It uses the deluge exporter to populate a Prometheus data source. 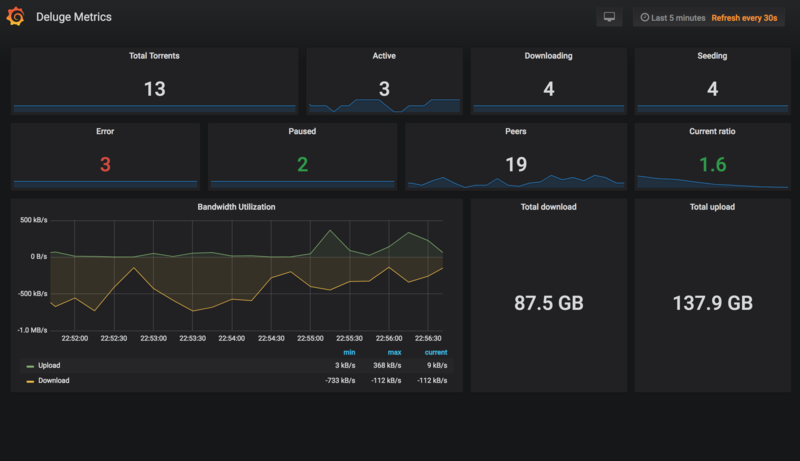 The panels in this dashboard can be copied into more comprehensive dashboards for a single pane of glass view of your network transfers or it can be used as a standalone glanceboard. You can install the dashboard from the Grafana website or from my repo. 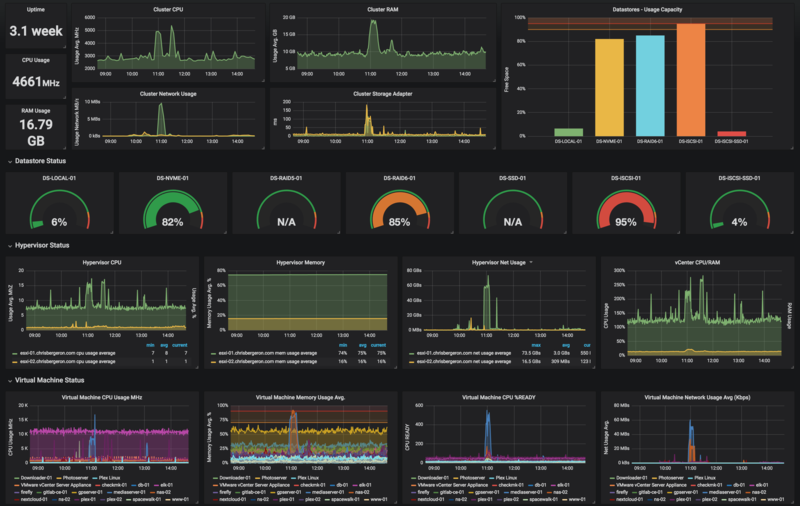 As part of my dashboard project (link coming soon) I was looking for a lightweight self hosted monitoring solution for my home network services. I found Monitorr and decided it was a perfect fit for my needs. It’s simple and it doesn’t have any frills, which is exactly what I wanted. You can find installation instructions and download it from here. I wrote a simple plugin for NZBGet that inserts download history into a MySQL database. Having my download list in a database makes operations on the data easier than groking text logs. To use simply copy the Mysql-Log.py script into your NZBGet/scripts directory. In NZBGet, select settings and set the hostname of your MySQL instance. I couldn’t find any quick references about accessing the Pihole API so I created this page. 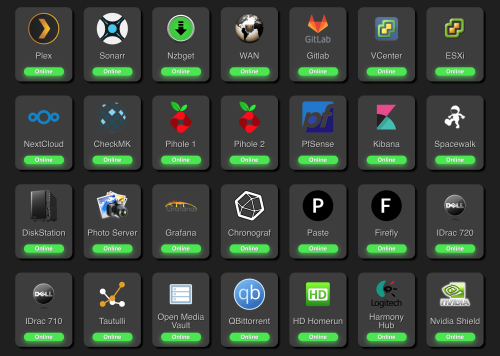 Pihole is a great app for blocking internet advertising that was originally designed to be run on a raspberry pi. It blocks known advertisers’ domains at the DNS level by effectively null routing requests destined to serve ads. It can be run on VMs, Raspberry Pis and bare metal servers. Here are the steps to access the pihole’s rest api. I’m using curl in this example, but you can integrate it with OpenHAB or any other system that can talk REST. I wrote a simple plugin for NZBGet that inserts download history into an ElasticSearch cluster (or node). It uses API calls rather than parsing filesystem logs. I wanted a quick way to just insert the data so I created this script. Simply copy the ESLog.py script into your NZBGet/scripts directory. In NZBGet, select settings and set the hostname of your ElasticSearch instance. For this test I’m using a real-world playbook that I use in my homelab when provisioning a new CentOS VM. It configures some basic things (hostname, ssh keys, etc), installs common packages/utilities and tunes some OS configurations. I work from home a lot and I need reliable internet connectivity to workplace. As a result, I decided to implement a failover WAN connection into my firewall. I use pfSense as my firewall which combines power and flexibility with easy of configuration. While researching options, I decided on the Netgear LB2120 4G LTE modem since it has Gigabit port(s) and can be used with external antennae. This is a quick tutorial about setting up a simple shell script that runs periodically to update a DNS record on the internet with the IP address of your network. If you’ve ever wanted to have myhome.mydomain.com always updated with your home IP address, this is one way you can do it. There are paid and free services that offer this functionality, but I choose to use this method because it gives me ultimate flexibility over my domain. This tutorial assumes you have your own Top Level Domain (TLD) and that you’ve configured it to use Digital Ocean as the authoritative DNS for it. Here, I’ll use “example.com” as the top level domain. Log in to Digital Ocean and click on API from the top Menu. Click the Generate New Token button and give it a name. The name is not parsed, it’s just for your own reference. I like to give it something descriptive to my application. For this example, I’ll use MyDNS. Be sure to check the box next to Write so we can update the records using this API Key. Once you have the API Key, save it somewhere for reference. It’s one of the 3 variables we’ll need to update in the update_do_dns.sh script. The commands used below assume default username / password of root / calvin. Hopefully you’ve changed the default password so substitute yours where applicable. I wanted to add the metrics from my ad-blocker, the great Pihole to my executive dashboard. 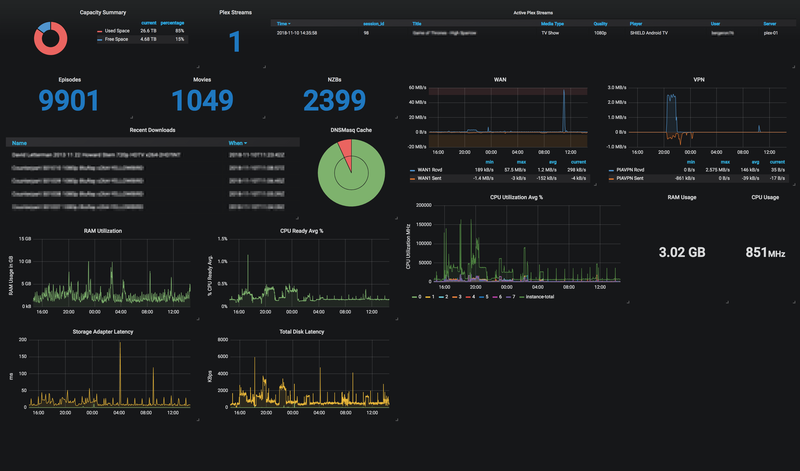 To create the dashboard I used Grafana to display the graphs and InfluxDB a the time-series backend database. I use a simple python script to get the metrics from pihole and record them in influxdb. 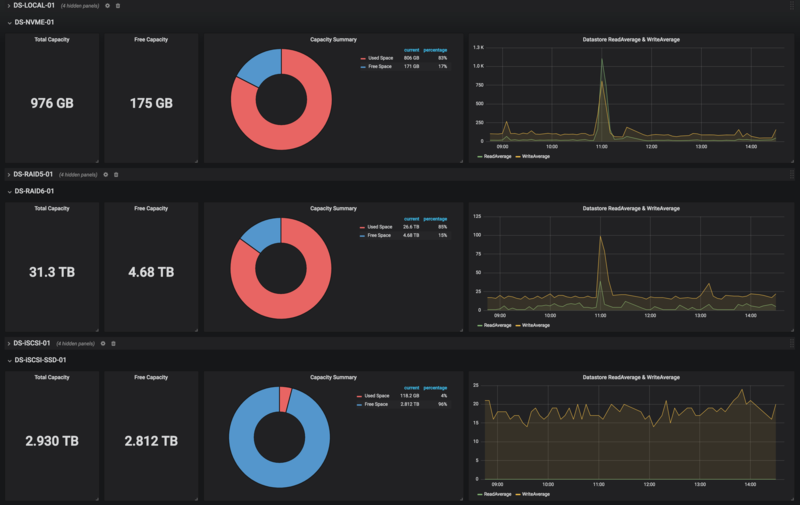 Grafana makes it easy to render them into a user friendly dashboard. Installing Grafana and Influxdb is beyond the scope of this blog post but here is the scipt that I use to get the data from pihole and insert it into Influx. After you’re getting data in your influx db you’ll have to create a grafana dashboard.